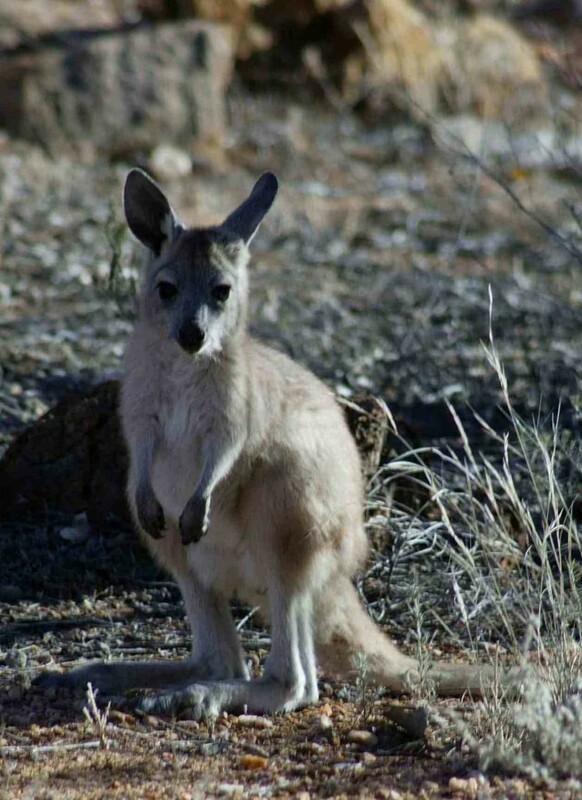 This little wallaroo joey is growing up quickly. He is still following his mom around, and is in and out of the pouch a fair bit when he gets tired. All the bouncing around is good practice, but he is still very uncoordinated and needs some help and guidance. He is very fit and healthy and will grow up into a fine adult. Judging by the size of his feet, he will be a great jumper when he is older. At the moment it feels like we are in the middle of winter, and this little roo is definitely dressed for the occasion. All that fluff will help keep him warm, and he also has his mom to keep him safe.